Use this list of elective ideas to help you discover fun learning opportunities for your homeschool student. From life skills to career exploration, high school electives help teens develop their unique skills and explore their passions. I got my first taste of elective classes in 8th grade. All two elective classrooms were at the end of the hall across from one another. The girls turned left to home ec, and the boys turned right to woodshop. Then, I went to high school. Freshman year, our elective choices were pretty limited, but after that, the elective world opened up to dozens of possibilities. I can’t overstate the excitement of getting to choose how to spend a few hours of my high school day. 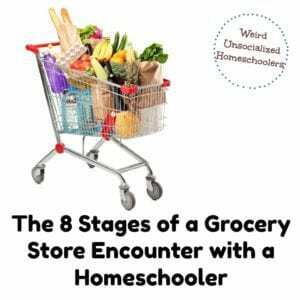 As homeschooling families, it’s even more exciting. The possibilities we can offer our students for electives are astounding! What Are High School Electives? 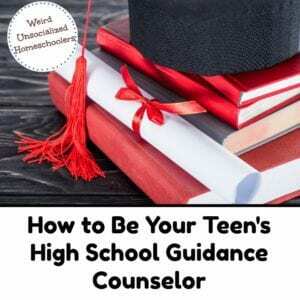 The Ultimate Guide to Homeschooling High school offers tips on all aspects of homeschooling the high school years, from planning to post-graduation. Now, that I’ve graduated two homeschoolers, I feel that way about homeschooling high school, too. It terrified me. I just knew I’d screw something up beyond repair. But, you know what? Homeschooling high school wasn’t that bad. Yes, you may need to step up your record-keeping game. Yes, you may need to consider tutors, co-ops, online classes, or dual-enrollment. But, you really can homeschool high school. Here’s what you need to know along with some helpful resources so you can dig in deeper where you need to. Strengthening any weak areas. Does my tween need to brush up on his multiplication facts? Does she need to improve reading fluency and comprehension? Should we focus on writing? Keeping transcripts. I like to keep transcripts starting in 8th grade. I get into the practice of maintaining more detailed records, and I have all the information I need to count some of my student’s 8th-grade work for high school credit. Working independently. Middle school is when I like to start the educational baton-pass to my kids. By high school, I want them working primarily on their own. Exploring curriculum choices. Don’t waste time with ill-fitting curriculum in high school. Use 8th grade to try out lower levels of potential high school choices when you can. Hands-on activities for kids and teens make learning memorable and fun. Try these 13 hands-on learning activities that are versatile enough for any subject. I still feel guilty. I carefully constructed my see-saw and placed the bucket of plastic army men on one end. Now, I was ready to jump on the other end and watch the bucket spin through the air, army men nestled safely inside, and land a few feet away just like the scenes in cartoons. Except cartoons defy the laws of physics and gravity. Buckets of plastic army men in kindergarten classrooms do not. I wish I could remember the name of the little boy I let take the fall for me. I’d apologize for high-tailing it in the other direction while our teacher scolded him for raining plastic army men all over the classroom. Forever emblazed in my mind, that memory embodies hands-on learning at its finest. (Expect for my innocent classmate.) Activities that engage the body and mind enhance learning and retention. The best hands-on learning activities for kids are open-ended, versatile, and easily adaptable for all ages. The following activities will work for any age and nearly any subject whether you’re looking for hands-on activities for middle school and high school students or ideas for your elementary kids. Increase understanding and help kids visualize history and geography with a 3-D map. Building maps helps kids understand things like why Upper Egypt and Lower Egypt appear mislabeled on a flat map. Kids love costumes, simple or elaborate. I’m no seamstress, so when my kids were little, we assembled store-bought costumes or simple, DIY options. Sewing your own costumes provides hands-on learning for math skills as your child measures, figures out how much material she’ll need, and cuts out the pattern. Don’t forget to count this as home ec time! From writing the script to building the set, kids practice a variety of skills as they prepare a puppet show or play. They learn dialogue, descriptive writing, oral communication, art, creativity, and more. Performing the play and acting out the scenes they create, reinforces students’ understanding of the people, places, and events they’re studying. Oral presentations make a fantastic alternative to written assessments. Preparing the presentation provides an opportunity for kids to review. Presenting it showcases what they learned (and may highlight areas you need to go over again). Students can assemble an oral presentation with or without a presentation board, or they can try their hand at PowerPoint, a slideshow, or photo journaling. Easily add hands-on learning to subjects like history, science, or geography with paper mache models. Build a model of the earth or even the whole solar system. Way back in the day, my oldest created a paper mache Leaning Tower of Pisa when we studied Italy. I remember my cousin making a model of the Liberty Bell when he was a kid. There are so many creative possibilities! Think about science models, historic landmarks, or replicas of key elements from a novel for a literature course. You probably first think of history or geography when considering a themed dinner, but with a little creativity, meals could represent concepts from science, math and other subjects. Fix pizza and a round cookie cake when studying circumference. Make a pie for Pi Day. Bake an apple pie when you study Issac Newton. Toss boring written book reports and try a paper bag book report instead. Kids start with a paper bag and add items that represent some aspect of the book (or a person’s life, a time in history, or an invention). Then, they pull out the items, one by one, and recap the highlights of the book as they explain the significance of each. One popular, hands-on method of showcasing what kids have learned is assembling a lapbook. You can make your own lapbooks or try a variety of ready-made lapbook sets. If your kids aren’t fans of lapbooking (mine aren’t), let them make a story notebook or notebooking instead. My kids used to love building dioramas for different biomes (like the ocean or dessert), but you can adapt these little shoebox models for many different purposes. If dioramas aren’t your thing, try other model options like a construction paper representation of Earth’s layers, a shoebox lid Roman road replica, or an edible cell model. Just don’t drop it! Your kid doesn’t have to be an artist, and his projects don’t have to be elaborate. Encourage him to choose something that represents some aspect of the topic he’s studying. He might try a collage of vertebrates if studying mammals or a painting of sea creatures for marine biology. Kids can make their own cave paintings on paper bags. Let them create a mixed media masterpiece depicting a historical event or famous person or try their hand at sculpting with clay. Don’t skip this idea just because you have high school students! ABC books make a versatile tool for all ages. 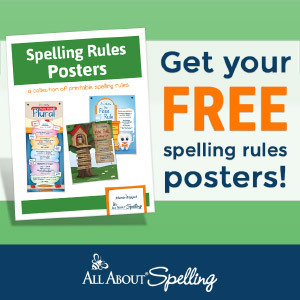 Use blank board books or homemade books to create an ABC story on any topic. The older your student, the more detail you can require for the book. Your student can create a math ABC book – A is for angle, B is for base, and C is for circumference. Try geography – A is for archipelago, B is for beach, and C is for canal. The possibilities for ABC book topics are endless! Games make a fun, low-key way to learn new topics or review concepts. Bingo, matching, memory, or fishing are some of my favorite, easily adaptable, DIY games for almost any subject. For fishing, tie a magnet to a dowel rod with a piece of twine. Then, put paper clips on index-card “fish” or cut fun fish shapes from construction paper. When kids catch the fish, they have to read or define the word, explain the concept, or answer a question based on what you wrote on the card. You can also use your imagination, a pack of index cards, and the board from most board games to create your own homemade learning games. Jeopardy is a fantastic game for teens and tweens or try Periodic Table Battleship. We’ve done everything from caves (for geology) to a replica of one of Columbus’ ships (history) to an emergency room (health and safety). We’ve even done an official (as opposed to a homeschool stereotype) field trip to a grocery store. Heading out to see the things you’ve been studying in person is one of the best hands-on learning activities around. Simple, stress-free homeschool field trip planning tips make a group outing a breeze. Try my field trip ideas for middle school and high school students or get some fantastic field trip ideas for preschoolers. What are some versatile hands-on activities that you and your kids enjoy? Like these ideas? Discover more in my subscriber exclusive, Hands-On Learning, a 54-page e-book with 10 hands-on activities featuring full-color step-by-step tutorials. It’s free for subscribers! When your homeschooled teen is ready for his first job, try these practical tips to help him confidently navigate the process from application to paperwork. She looked at me doubtfully. “Your name is Kris Kris?” she asked. I wiped my sweaty palms on my pants and gave the interviewer a confused look as I told her my first and last name. With a note of condescension in her voice, she informed me that I’d written my first name in both the first and last name spots. My first job interview went downhill from there. Months later, I landed my first job, but the haunting memory of my first embarrassing interview lingered. It spurred my desire to help my teens prepare for a better job-hunting experience. The first step in landing a job is finding open positions. Teens should check the places they shop, eat, and hang out. Even if the places don’t advertise openings, ask the manager. They can also check the corporate website for places they’d like to work. Most of the time, you can find a link to job opportunities near the bottom of the main page. Seasonal work is also an excellent way for teens to gain work experience. If the job isn’t a good fit, they can leave at the end of the season without a negative impression. And, if they love the job, seasonal employment usually offers the potential for regular, part-time work. Today, almost all businesses prefer online applications. Many have application kiosks in their stores and don’t accept paper applications. Make sure your teen knows how to fill out a job application, paper or online, correctly. It will be helpful for your teen to fill out a sample application at home to ensure she has all the information she needs for actual applications. Suggest that she ask for two blank applications if she requests paper copies from potential employers. Discuss protecting his social security number with your teen. Unfortunately, many companies want an applicant’s social on the application so they can run a background check if they’re interested in the candidate. I don’t think it should be required until further in the hiring process, but no one asked me. I advise my kids that if they’re on a reputable site (such as a nationwide company’s main web page) and they see “https” and the secure padlock in the browser window, it should be safe to enter their social for online applications. They check with their dad or me if they’re unsure. The interview is both the most exciting and the most nerve-wracking part of job seeking. Coach your teen for the best first impression with these tips. 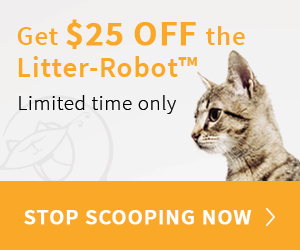 No matter what kind of job your teen is seeking, a neat, clean appearance is vital. Suggest paring khaki pants or nice jeans (no holes) with a polo shirt or button down. My girls often prefer a dress for job interviews. Kids should brush their hair and wear it out of their faces, brush their teeth, and make sure their nails are clean and trimmed. A neat appearance shows a potential employer that the job candidate respects his time enough to put some effort into her appearance. My kids have some weird charm that they turn on during interviews because they get offered jobs nearly every time they get interviewed. One of the few times Brianna wasn’t offered the job was when she followed the advice of a relative who shall remain nameless. She dressed in ripped jeans and a t-shirt because that’s what the employees wore. From that point on, all the kids have listed to my advice – no matter what the job is, a neat, clean appearance for the job interview is vital. On the day of the interview, arrive early. “On time” for an interview means at least 10 minutes early but usually not more than 15. Advise your teen to make eye contact, greet the interviewer with a smile and a firm handshake, and speak clearly. Practice with your teen, using common interview questions so he’ll feel more confident during the process. Remind her to keep her references’ contact information handy in case she needs it. And for the love of all that is holy, instruct your teen to leave his or her cell phone in the car or turn it on silent and don’t check it during the interview. Once an employer offers your teen a job, help him open a checking and savings account. Many employers don’t offer paper checks anymore. Instead, they’ll put employees’ earning on a payroll debit card if they don’t have a checking account. When Brianna got her first job, it didn’t take us long to learn that those cards are a pain in the behind. She opened a checking account after a few months. We made sure Josh and Megan had accounts before they got their first paycheck. Once your teen has a checking account, make sure he knows how to fill out direct deposit forms. Show him where to locate his bank’s routing number and his checking account number on his checks, deposit slips, or banking app. Ensure that he knows how to fill out those dreaded tax forms. Print a sample W-4 at home and go over it with your teen so he’s confident completing it on his own for his employer. You’ll probably want to print a sample I-9 form, as well. Your teen can practice completing it and make sure she has the required types of identification. Finally, you’ll likely need to sign a work permit provided by your teen’s employer. Depending on the homeschooling laws in your state, you may have to sign the form and have it notarized or take it to your county school board for signatures. The freedom and independence teens experience with their first part-time job are an exciting part of growing up. A part-time job provides an excellent opportunity to gain real-world money management skills and build a teen’s work ethic. Help make the job-seeking experience a positive one for your teen with these tips. Just tell them Kris Kris wanted to help. That’s kind of how my kid felt about chemistry, complete with groaning, sweating, and that glassy-eyed stare. Okay, maybe not the sweating. And, that low, guttural moan? That might have been me as the vision of playing nagging schoolmarm for another year flitted through my head. But, y’all, I’ve been doing this homeschooling thing since before Facebook hit the Internet. Yeah, let that sink in a minute. Suffice it to say that I’m over doing what we’re “supposed” to do just because we’re “supposed” to do it. So, I went looking for a high school level science class that would capture my teen’s attention. I found Apologia’s Exploring Creation with Marine Biology. Winner, winner, chicken dinner, y’all! What Is Exploring Creation with Marine Biology? Each module contains at least one experiment, including dissection labs later in the course. Marine Biology presents a complex topic in an engaging, conversational manner using a hardback textbook with colorful, informative illustrations and an optional spiral-bound student notebook. We chose the Superset, which also comes with the solutions and test manual, an audio CD, and a DVD. I love that Apologia offers so many options for all learning types! I got the audio CD for Megan because I thought she might prefer listening and following along in the text. However, we’ve found that the student book is engaging enough to keep her interest without the CD. Exploring Creation with Marine Biology was designed for high school students who have completed a biology course. It’s written to the student so it can easily be completed independently, which is what we do. The student book is technically optional, but I think it’s a must-have addition to the course. First, it contains a daily lesson schedule with the whole school year planned out for you. See? Buy the student notebook! That’s all the reason you need. The student textbook also contains the details for accessing the “book extras” site where students will find links to helpful websites and videos for each module and a video by Marine Biology author, Sherri Seligson, on how to write a lab report. Thanks to the daily lesson schedule in the student notebook, planning is easy-peasy. I just plug the assignments into Megan’s assignment sheet, and she completes the lessons on her own. I watch the DVD if I need to catch up. I really only need one or two reasons to love Exploring Creation with Marine Biology. First, my teen loves it. Second, it meets our needs for a high school level lab science. Even though I only need the two reasons to love it, there are many more. For one, the student textbook is packed with useful, easily-accessible information for students and their homeschooling mamas (and dads). Vocabulary words are defined in bold, off-set text. There are insets throughout the book with additional facts and points to ponder. My favorites are the Creation Connection sections that look at how scientific facts relate to scripture and creation. If you’re looking for a high school level science lab that’s a little different from the biology/chemistry/physics routine, but still meets the need for a college-prep lab science, check out Exploring Creation with Marine Biology. Even my probably-not-college-bound teen loves and recommends it.